A Dandelion Gathering is a tradition-wide Reclaiming reunion. At the last Dandelion Gathering of 2012 in Portland, OR, those meeting decided to encourage bio-regional Dandelion gatherings to be held in communities across the globe who embrace the Reclaiming Principles of Unity. 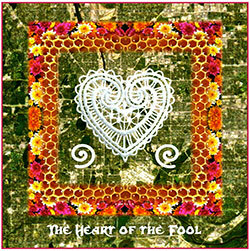 We joyfully gather, with the heart of the Fool, near the Sacred Mississippi to celebrate, sing, dance and heal in community. To that end, we invite you to join us as we co-create this gathering together – Harvesting the Wisdom of Stillness and Movement, and the Energy of Eye-Opening Magic, we embrace Paradox as we explore potentiality in accessible and sustainable ways. The Gathering is happening September 19 – 21 at various venues in the Twin Cities region of Minnesota. Visit our calendar for event details.